Matthew also presented an award to Sainsburys Haverhill from the legion for their fundraising over the years. 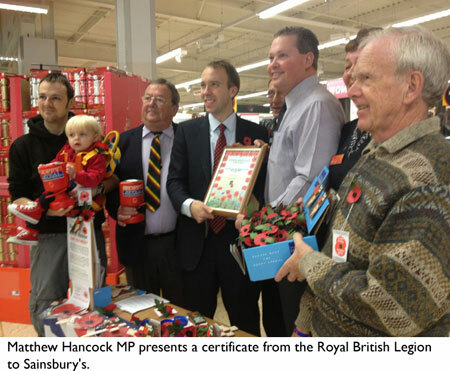 Sainsburys Haverhill has now raised over £120,000 for the Poppy Appeal over the last 30 years. Later, the MP had a meeting with some of the town's GPs about health provision in the wake of the closure of the Crown Health Centre in July.